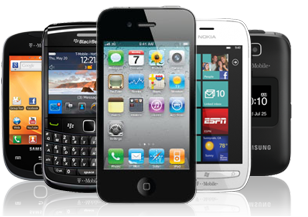 * # 06 # - the IMEI smartphone (IMEI number - consists of 15 digits, it is unique and everyone has a phone). This number must match the number on the box. And most importantly for the following three ways to format a smart - pre-pull the memory card from your phone, otherwise it may be damaged !!! Hard-Reset Press the three keys at the same time "green" (Promise call) + "3" + "*" and hold the three buttons on the phone, press the power key, and wait for the screen with the message formatting, which will appear after a while.! Safe Mode when the phone is switched on - "PENCIL» + "Power Buttion"
4. Hold "PENCIL" to full load !!! * # 2820 # - a unique address Bluetoth-module (you may need other devices that can not display names). * # 7370925538 # - ochiske "Wallet" (for 6600 and above - in which there is a "wallet"). * 3370 # (phone should reboot) improves sound quality (using EFR), but reduces battery life. # 3370 # reset to normal sound quality (disables the code * # 3370). This function is turned on when it is, in theory, should significantly improve the quality of speech, but unfortunately, it must be supported by your service provider. When her work is slightly increased power consumption of the phone talk time (about 5%). To our knowledge, none of the Russian cellular operators do not support this feature. The principle is based on a different algorithm for speech compression (ACELP) and has a wider frequency band. Significantly degrades the quality of speech, but saves battery somewhere at 30%. Again, it must be supported by a mobile operator. 3. Shows month and year of sale (if installed). Here you can set the date, but be careful - it can be done only once for the entire life of the phone. 4. Date of last repair (if produced). 5. Sends all the phone numbers, pictures and ringtones from one phone to another (perhaps in order to restore). In models with an infrared port, this procedure works through it. ## 002 # - Cancel all forwarding. 004 # ## - re-register all pereaderesatsii (No answer, no reception, busy). ** 21 * number # - Immediate divert all calls and activation. * 21 # - Enable immediate call forwarding. # 21 # - Disable immediate pereadrisatsiyu all calls. * # 21 # - Check the condition of pereadrisatsii all calls. ** 61 * number # - Activate forwarding to the number if no answer. * 61 # - Activate forwarding if no answer. # 61 # - Disable forwarding if no answer. * # 61 # - Check the status of the forwarding if no answer. ** 62 * number # - Activate forwarding to the number if outside the reception area. * 62 # - Activate forwarding when out of range. ## # 62 - re-register divert if out of range. # 62 # - Disable forwarding when out of range. * # 62 # - Check if the forwarding status outside the zone.